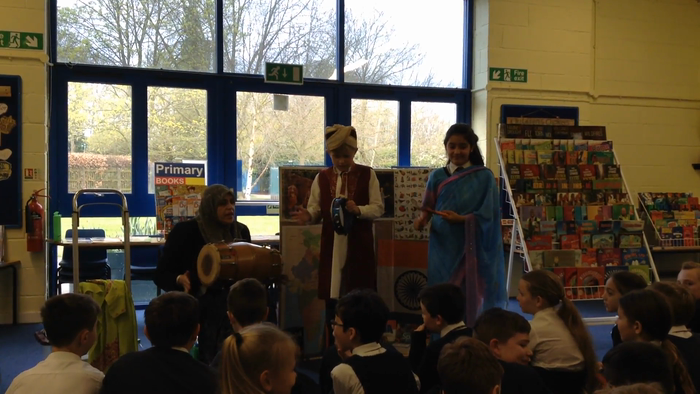 We listened to the Indian national anthem and joined in, playing traditional instruments. 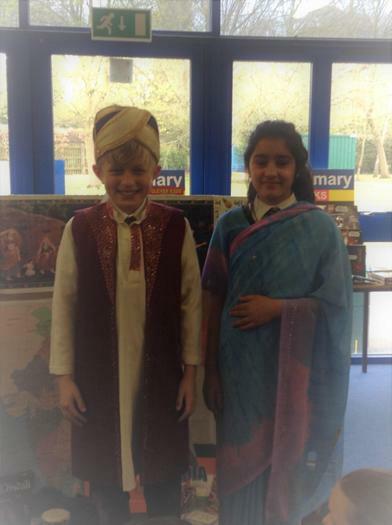 During our visit to the book fair, we learnt about traditional Indian dress. Some of the children had the opportunity to try these clothes on. The tiger is the national animal of India. We made a tiger, corner bookmark.